We started Gracie in business that day and made sure that WEEPs assisted her with a bicycle that would enable her to get around pedaling with her hands. She was so grateful for all the help. 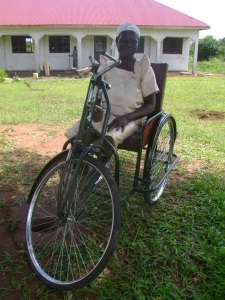 Gracie in her bicycle that can be operated by hand. In 2012, we returned to see Gracie and she was doing very well. 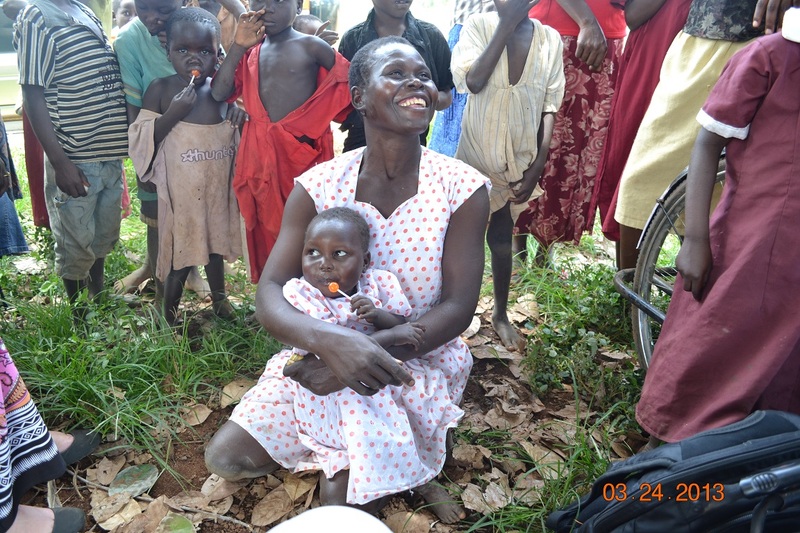 As a result of WEEPs, she was able to not only support herself; but, was also able to provide for her children. 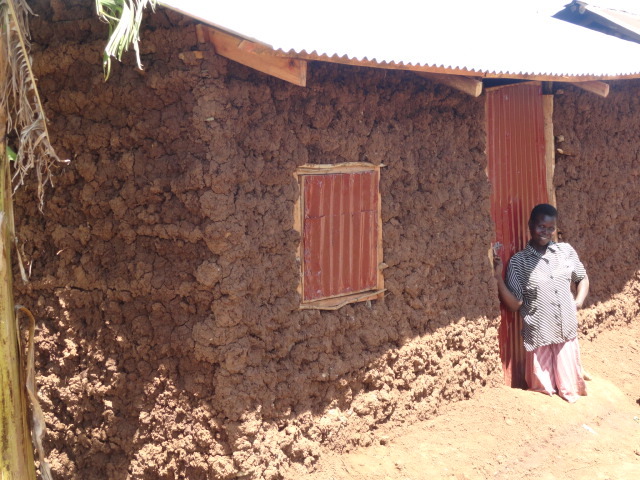 She built a new house and even purchased mattresses to sleep on. Gracie’s life had been changed and she was not only a great business woman she was a great mother. The value of her life changed dramatically. In 2013, I went to visit Gracie again. She was full of life. 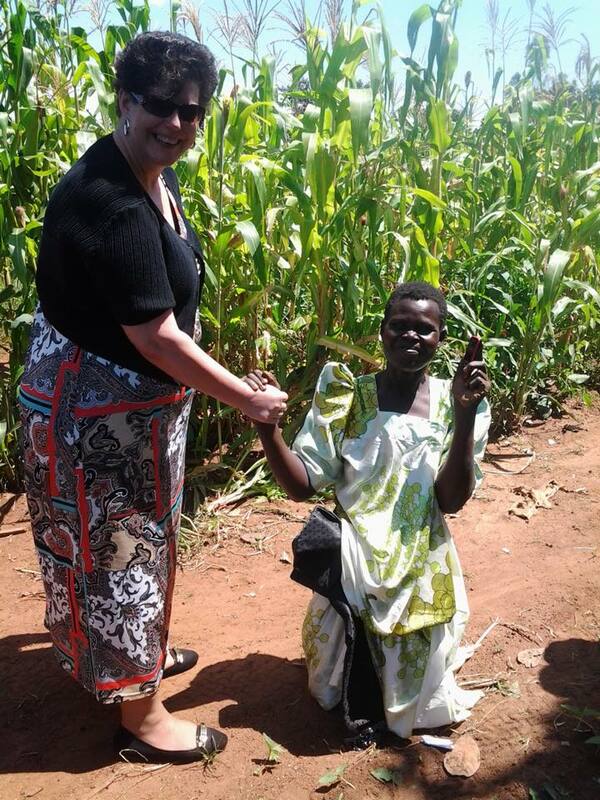 As I drove up, she was outside in her own vegetable fields harvesting corn. Gracie’s physical limitation is just a physical one. 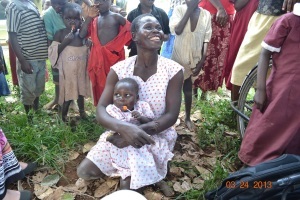 As a result of WEEPs, her heart and life knows no limitation as she continues not only as a business woman but an example for everyone in her village.